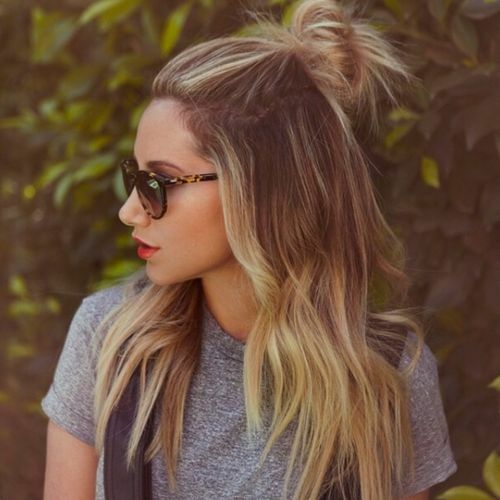 Home Trends Hair Style Trendy Hair Style : Half bun and beach waves. Half bun and beach waves. Trendy Wedding Dresses : get a load of that back!